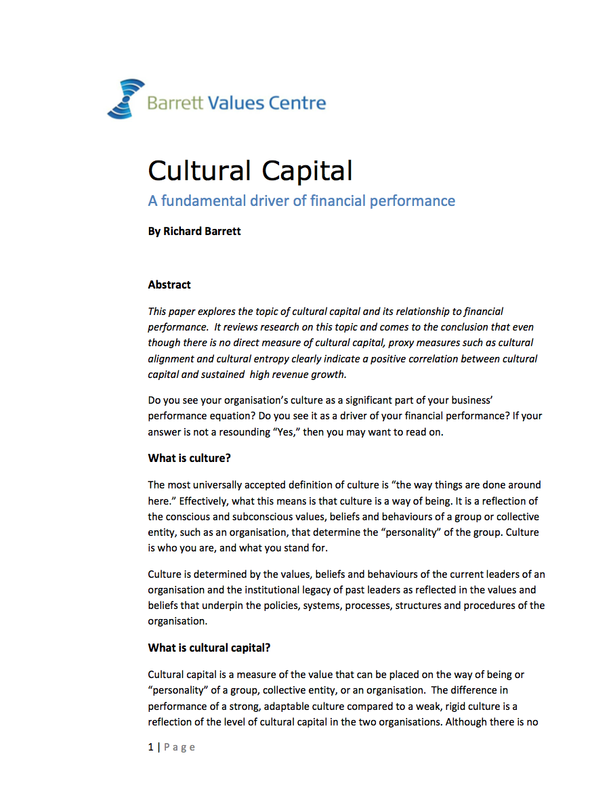 This paper explores the topic of cultural capital and its relationship to financial performance. It reviews research on this topic and comes to the conclusion that even though there is no direct measure of cultural capital, proxy measures such as cultural alignment and cultural entropy clearly indicate a positive correlation between cultural capital and sustained high revenue growth. Tom Rausch is a culture change consultant and leadership coach who helps CEO’s improve team cohesion while developing a high-performance culture throughout the entire organization. His expertise lies in creating sustainable and scalable transformation across global enterprises, working with industry leaders in India, Argentina, USA, China and the EU such as Accenture and Saint-Gobain.